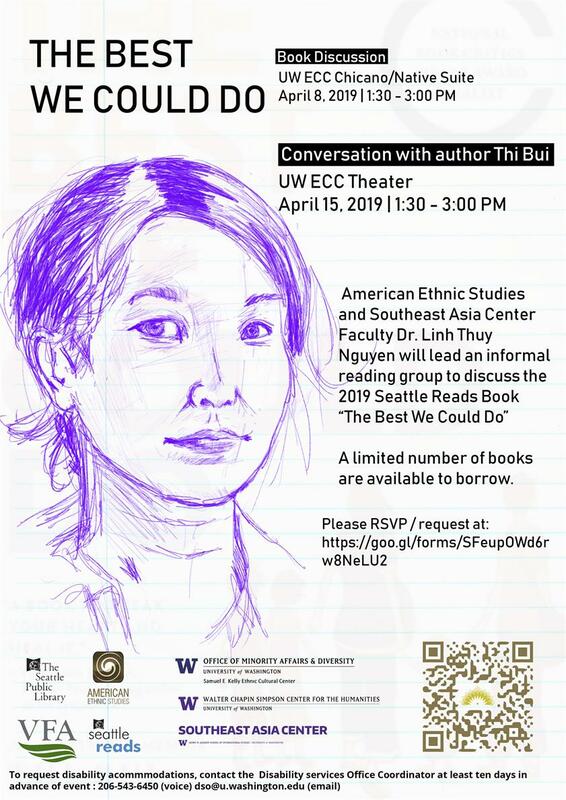 Monday, Apr 15, 2019, 1:30 – 3 p.m.
Join Thi Bui, author of The Best We Could Do for a conversation on her book. The Best We Could Do is the Seattle Public Library's selection for 2019 Seattle Reads. It is a graphic novel and memoir detailing the escape of Thi Bui's family from Vietnam in the 1970's, and the challenges they faced building new lives in America.